Praise Hymn Fashions has been serving the music industry since 1983. The first order was sewn in our founder's home, and Praise Hymn Fashions was born! For 35 years, Praise Hymn Fashions has designed and manufactured a full line of choir fashions and concert apparel for adult, youth and children's choirs, praise teams, bands and school orchestras... even Sweet Adelines and barbershop quartets! We offer a wide range of styles in many fabrics and colors. Our size range will allow you to have a fit for each person in your group! Whether you're looking for sequins, tuxedos, choir robes, Biblical costumes or other holiday apparel, Praise Hymn has tasteful, fashionable outfits for every musical event and dramatic presentation on your church or school calendar! Quality - We know that our customers want to look good in every performance for years to come; therefore, we must provide quality fabrics, stitches, and styles. Service - Purchasing group apparel should be a fun and exciting process. Our Customer Service Representatives guide you through every step from style selection, sizing, production, and delivery. 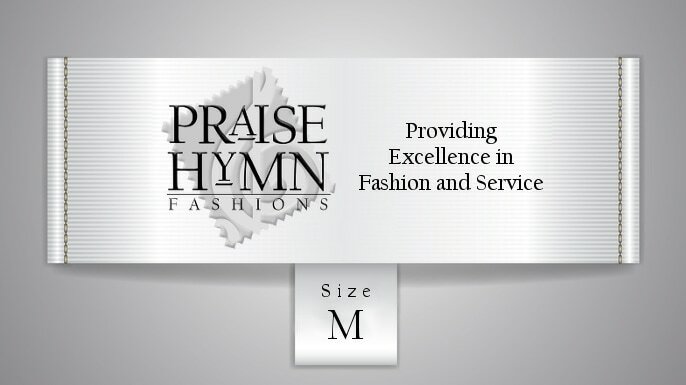 Family - The entire Praise Hymn Fashions team is a family. We love to come to work and support each other as we journey through life. Our family attitude impacts how we treat our customers. Integrity - Every employee is empowered to do the right thing for our customers, brand, employees, and community. Call our toll-free number 1-800-760-0038; or if you have a current catalog, you can email your order to info@praisehymnfashions.com. Please be sure to include the page number(s) of the catalog, style number(s), description(s) and quantity, along with group/organization's name, your name, address, email address and phone number. A representative will contact you directly to confirm your order and provide final pricing. New orders should be placed directly with your sales representative. For more information, see How to Order.